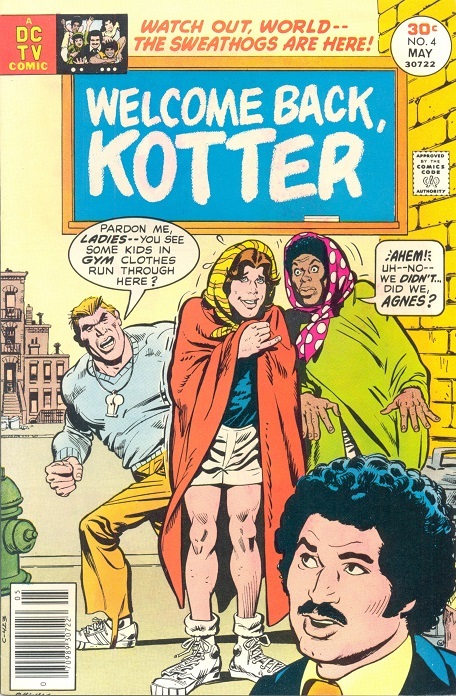 Back Issue of the Week: Welcome Back, Kotter #4 (May 1977). This issue from DC Comics’ short-lived adaptation of the popular 1970s sitcom, illustrated by Ric Estrada and Bob Oksner, was written by Mark Evanier, now known for his collaboration with Sergio Aragones on Groo the Wanderer and his work on various iterations of the Garfield cartoon. However, he had also worked on the actual Welcome Back, Kotter TV show as an editor and writer, making him quite ideal for this particular assignment! This entry was posted in Back Issue of the Week on November 3, 2016 by Mike.